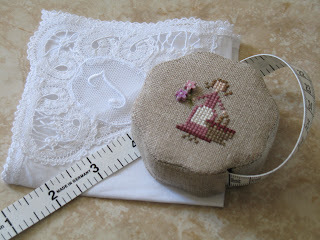 My friend Arcadia in France made me the loveliest sewing basket with a matching tape measure for Christmas. I absolutely love the little flower buttons that the girl is holding. 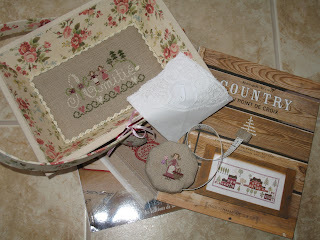 Arcadia also spoiled me with two stitching books and the beautiful lace handkerchief which she had a friend purchase for her in Belgium. I am so grateful to have received such intricate and beautiful gifts. I apologize for waiting so long to post this! I got caught up in all the excitement from all the holidays. Thank you for stopping by my blog and catching up on what's new here. Keep on stitching and enjoy every day. Superb gift, what a wonderful present. The stitching is exquisite. What lovely gifts! I love the Amitie design, its so sweet. Oh what a wonderful gift to receive, you deserve them. 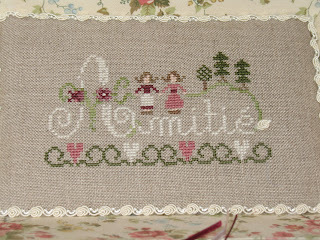 I am fo glad I found your blog - I love stitching, it is my passion too! What a pleasure to see your projects! This is absolutely lovely and sweet gift from France! The design is very lovely, isn't it? 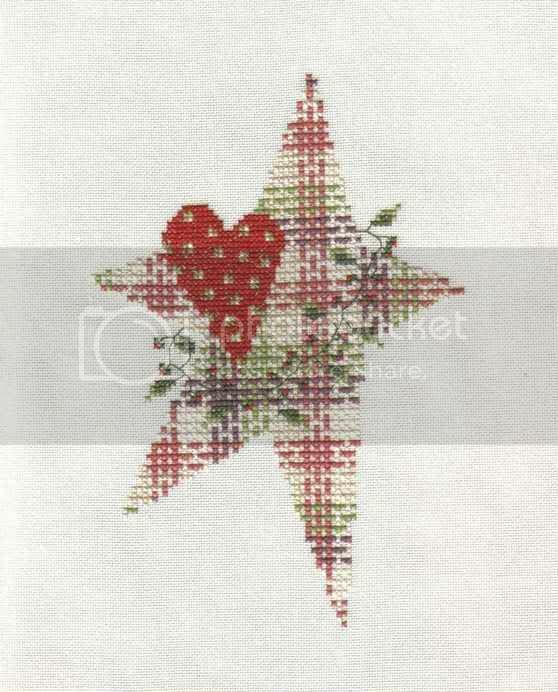 Fabrics are very matching well with this design!